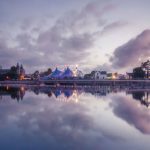 Some beautiful images of Galway City, nightlife and culture captured by Liam Carroll Photography. During our two hour walk of Galway City centre we will start from the Spanish Arch and Galway waterfront. 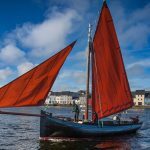 Then we will stroll into the heart of Medieval Galway before making our way to the famous Claddagh area and then follow the river towards the cathedral and Woodquay area. We will then visit Eyre Square and continue our walk finishing once again at Galway´s Medieval heart. This tour will mix the highest standard of historical analysis and narrative with a fun and informative approach. Galway is Europe’s last stop, but due to its strategic location has been a much sought after prize from both native and foreign attackers. This tour will trace the reasons for the development of the city, its rise as an important medieval merchant city and its place in modern Irish history. The events and traumas that shaped our city were often determined by events elsewhere, this tour aims to place Galway in that trans-national narrative. Events in the royal courts of France, Spain and England were more often than not felt deeply in Galway; this tour will tell you why, how and in what way these events shaped the City around you. 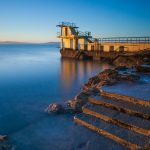 Galway developed as an English settlement, outpost and trading centre on the edge of several ancient Irish Gaelic kingdoms. We will use the city as a canvass to paint you a vivid picture of medieval knights and chivalric orders, battles, intrigue and high politics, mixed with the stories of the everyday. We have designed a tour that will provide you with fascinating and accurate history in an understandable and easy to follow story. This tour aims to be more than the simple history of individual buildings and instead will add context and nuance to our shared history. Max group size 12 people. Available all year round at any time for groups up to a recommended maximum of 20, €200 (for a 2 hour+ tour. Suitable for University, School, Conference and Corporate Groups. Spanish Arch, Hall of the Red Earl, Druid Theatre, Tigh Neactains, Blakes Castle, The Claddagh, The Long Walk and Woodquay Waterside district, Nora Barnacle’s birthplace, Lynch’s Window, St Nicholas Collegiate Cathederal, Lynch’s Castle, Eyre Square, Medieval wall and the Kingshead Bar.